Hopefully you now have a basic understanding of the rules and are ready to dive into your army’s codex/index. This is where the real fun begins. Each army is unique and has a lot of rules specific to them. Some 40K armies are pretty similar, like all the Space Marine chapters/variants, but even within those there is enough that’s distinct to make them different and interesting. There’s no right and wrong way to do this; just personal preference. However, if you’re new to the game of Warhammer 40K then I suggest reading all the cool background stuff first. It’s the history and fluff for an army that makes it interesting for me. Without the cool background it’s just another set of stats and gear and that’s not much fun. Reading about the army can really make some elements of the army much more interesting. You may find yourself drawn to a certain unit, or part of the army just because of the cool story that goes with it. This isn’t a competitive mindset, but I’m not an overly competitive player either. I like for my army to feel like a living breathing force on the field and that comes with reading about it. While cool history and fluff is great, it won’t tell you how to play your army. 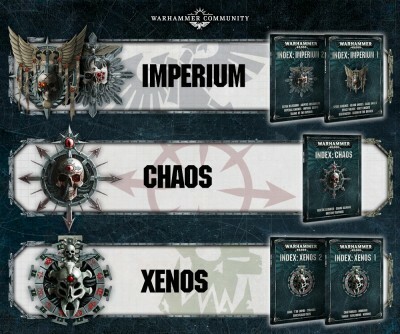 You should have an understanding of the stats by now, having read the 40K rules, so the big thing here is going to be learning all the unique abilities for the army. I like to read through unit entries front to, back but you’re welcomed to jump around too. While the core rules of 40K are quick and easy to learn, learning all the abilities your army’s units have can take some time. Each army will have units that list abilities. These abilities are special rules for that unit, and they will be clearly explained in the unit’s entry. You should note that some units may have the same ability, say Explodes, but the wording of it in each unit can be unique. Be sure to read each entry for each unit since it’s not always the same. Every unit will have two sets of keywords: faction keywords, and keywords. The faction keywords are used when creating your army list. All units in a detachment (more below), must share a common faction keyword. The keywords are used to define the type of unit, IE: Infantry. All the keywords, faction or otherwise, are used in conjunction with army rules, unit abilities, and even psychic powers. You might see a psychic power that only affects Infantry, so you would need to make sure the unit you’re casting it on has the Infantry keyword. There are also some core 40K rules that require certain keywords. The big thing that’s going to take a while to learn when you’re new to the game of 40K, and the army you’re playing, is all the weapons and wargear. It takes a while to learn these items, so don’t worry that you can’t recall all 30 pieces of wargear by memory that you have in your army list when you get to play. Also, same as abilities noted above, be sure to read the weapons and wargear on each unit as it can vary unit to unit despite having the same name. In order to create a legal 40K list, you will need the BRB (big rulebook). The rulebook has the various types of detachments for creating an army list. It also explains how to make a legal detachment. You’ll want to create your first list as a battle-forged army. This is the standard way to play any army. Keep it simple when creating a list for now. I would recommend sticking to a few types of units instead of putting in one of everything. Having too many various types of units will mean more that you have to learn. Keep the list simple, so that way you can focus on learning the game as well. There are some powerful ways to build your army, but to really appreciate them you need a firm understanding of how your army works first. To do that you need to start playing some games. Hopefully you have a friend who is happy to play your first game with you. If not, a lot of gaming shops will often have a player or two who are glad to teach new players; maybe even a store employee. I would recommend starting to learn by using power levels. You can create an army list in two ways, with power levels, or with points. Using power levels makes creating a list very easy, as well as quick. Points are great for more competitive settings where every item on a model is bought and paid for. This creates a more balanced pairing in a game. As for a level, I feel that around 50 power level is a reasonable starting point. If you do decide to use points, try games around 1,000pts. This is a good starting point to learn the game and your army because you aren’t overwhelming yourself with unit rules, wargear, etc. When creating your list I would suggest, at least to start, staying away from too many wargear upgrades. Again, it’s about learning at a reasonable pace, and not having too many things that are different for the sake of getting an understanding. My last piece of advice on learning your Warhammer 40K army is to create your army list by hand. There are programs out there that will make creating an army list really simple. The problem is if you start that way then you will never really learn your army. Those programs will insert the points, add it all up and often tell you when you’re making illegal choices. Those are great features for a veteran who knows his/her army inside and out, but not for the novice or beginner. You need to know how much each model in your army costs, how much those upgrades are, and the proper way to create an army list. I feel there is no better way to do that than by writing your list out by hand; memorization through repetition. Speaking of, I have created an army list builder for 40K whose goal is just that – teaching you your army. The site is called Command Center. It’s kind of like an online spreadsheet with some features to make building a list quicker than doing it by hand. It does not provide you with all the rules, point costs, etc., you have to enter them yourself – in turn helping you memorize your army. Of course you need to have models for your army so you can play. If you’re using a battle-forged detachment then focusing on HQ and troops choices is a great place to start. You really can’t go wrong with buying these units since they make up the core of most army lists you will create. Once you have a solid core for your army you will need to start branching out. Hopefully you’ve managed to play a few games by this point, and have a better understanding of your army, as well as elements of the game you enjoy. Armed with some experience and insight, you can look at other units you feel would be a good fit for you. Before you purchase new units I would suggest play testing first. See if someone you know has the unit you want to try. See if he/she would let you borrow it so you can test. If not, see if you have some other models that could stand in for, or as well call it proxy, to try them out. How things look on paper and how they work on the table can be two very different things. That’s why I like to try something out a few times before I commit to spending money on it. Also, be sure to check out my article on ways to save money on 40K as well. You have to buy models, there’s no getting around that, so you may as well save as much as you can in doing so. 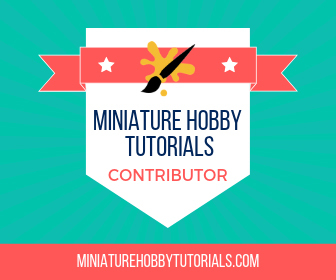 If you’re new to miniature painting then I also have an article on painting supplies every hobbyist needs that’s worth going over. is an amazing place to get some great deals. Buying second-hand models for cheap is how many of us have built many of our armies. If you’re a hobbyist then you can usually get even better deals by buying slightly damaged models and repairing them yourself. 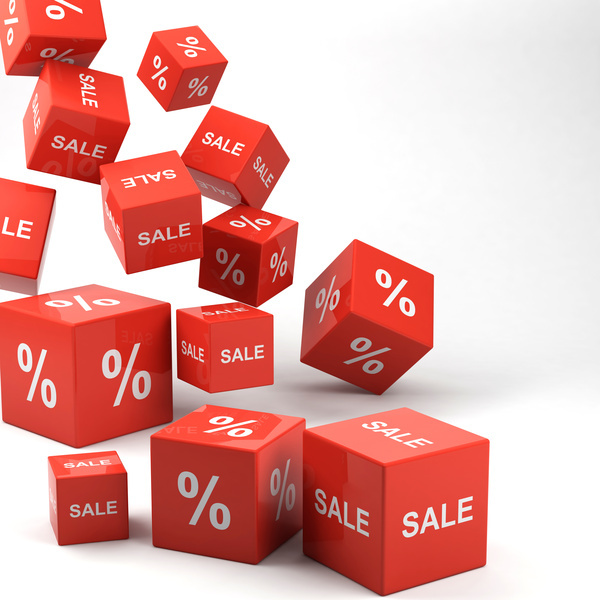 There are also some discount online retailers that will sell sometimes at 30% off retail price. A popular one in Europe is Wayland Games, as well as Element Games. Sadly you can’t buy 40K stuff from them if you’re in the U.S. because of GW regulations. There is also The Warstore that you can check out. I’ve ordered from them a few times recently and had really great service. I’m sure a quick search on Google will show you some other discount online retailers, but just be careful. If you find one then do some research on them to make sure it’s legit. Make sure that people are having a good experience with them. Some people do this as a hobby, selling 40K products and other games. So, your experience might not be so great when it’s some guy in his mom’s basement taking your order and sending it out. 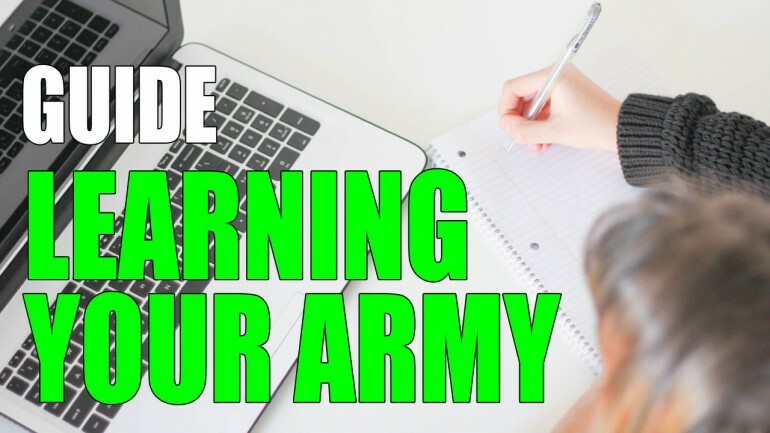 There isn’t a ton I can really say to help you learn your army. I can give some helpful tips and suggestions though. 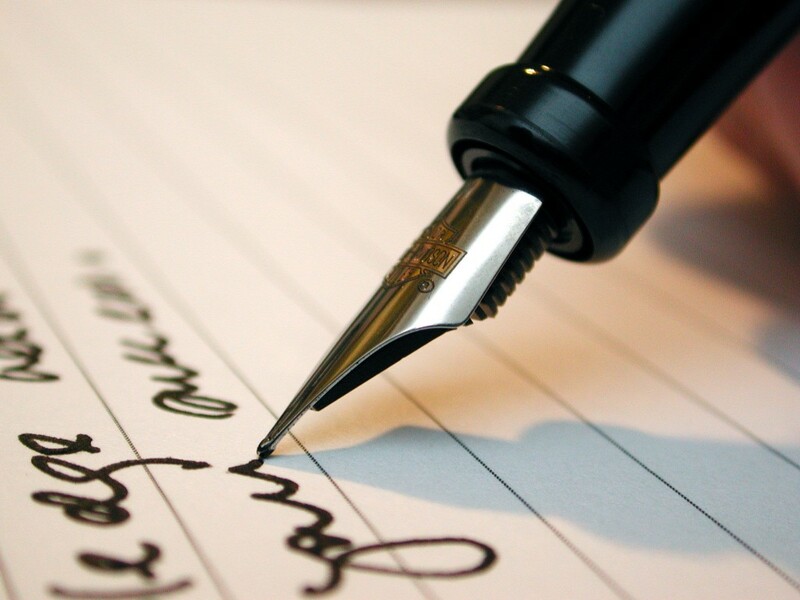 Personally, I just read and re-read over and over, especially when it comes to creating a list. I learn better through practice and by doing things, less by reading. Also, I create a lot of army lists just to get things down on paper in my own writing to see it. Do whatever works for you of course and know it will take some time. Another great article for people coming into the game. I have sent these onto to a couple of friends who are looking to start up for the first time. Thanks and I hope your friends find it useful.